entertainment | InWorldz Community Rag! 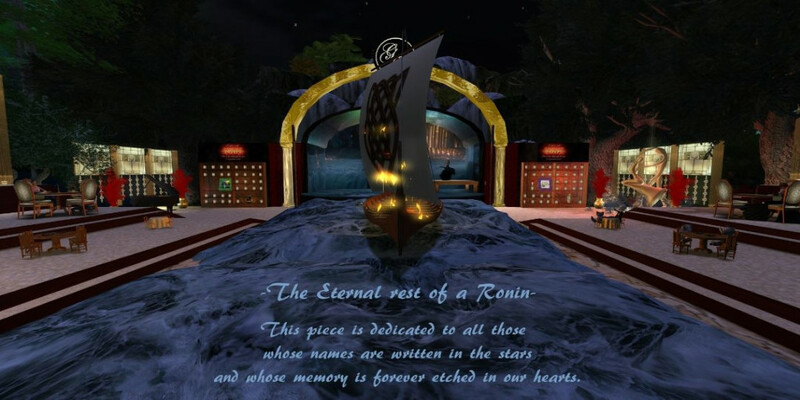 I have had the most amazing evening in #InWorldz tonight. I got to dance with the Golden Touch Theatre! You have no idea of the Hours of work & the dedication these people put into their shows. Each & everyone of them are awesome, with the creation of the costumes, the scenery, the scripts the animations, the choreography, the particles, the fireworks, the music. Believe me you have never seen or heard anything quite like the Golden touch, in any world. I have many photo’s to show… Over 130!! I know they won’t do them justice, you have to be there to really appreciate such talent & creativity. They will release a video in a few days. I have visited a few times over the years, Fleure is a supporter of live Music & I always enjoy the artists performing. This evening it was Russell Eponym, wonderful ‘Music Whisperer’ Musician/Singer/Songwriter./Poet. If you have never visited I highly Recommend that you do. Last night I went to a Birthday Party for Cataplexia Numbers. It was quite late here in the UK about 1am, I had just finished Modelling a new outfit I had put together, but wanted to just call in & say Hi. I had been having some viewer issues after updating the V2 Viewer I use & last night I couldn’t even dance at the party because nothing was happening when I clicked on the dance ball. So I could only stand & watch the dancing, but the music & Light show were great & it was nice to be with People. I didn’t know most of them, but was able to catch up with Cataplexia & enjoy the atmosphere, so all was good. We are so pleased to celebrate our one year anniversary with all of you. The show is called Passages, because in all things as they pass in time they grow and become brighter, better, & more beautiful. All are welcome to join us as the GT dancers present numbers to music and sets that you, our wonderful audience have chosen. We have a few new delights for you as well. Immediately following the show Keeba Tammas will be performing live on a dock up in the Skye where PyroVR will present a wondrous fireworks show called “Thunder over IW”. This is truly a celebration you won’t want to miss!